We want to wish all of our Camp Wood YMCA families and friends a very Happy Thanksgiving. We have so much to be thankful for this year including each and everyone of you. We hope you have a great holiday! We are thankful for a loving and dedicated group of staff and counselors! We are thankful for caring and supportive families! We are thankful to be surrounded by the beauty of the Flint Hills! Last, but not least, we are always thankful for the kids, the kids, the kids! This Thanksgiving we have a lot to be thankful for but we are mostly thankful for you! 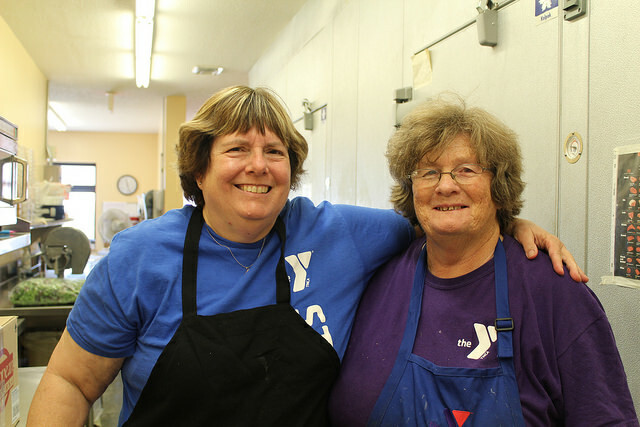 Camp Wood YMCA would not be here without each and everyone of you! We are so blessed! From all of us at Camp Wood YMCA! Could your family use a few days away from the busyness of everyday life? 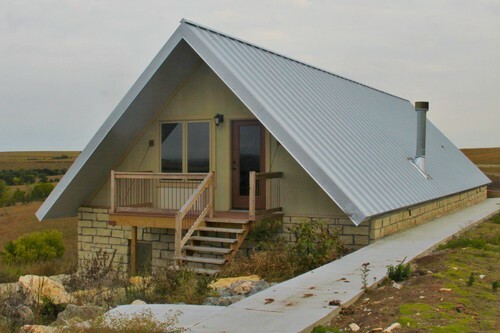 Nestled in the heart of the Flint Hills and surrounded by Tallgrass Prairie is a peaceful vacation just a two hours away from the Kansas City area. 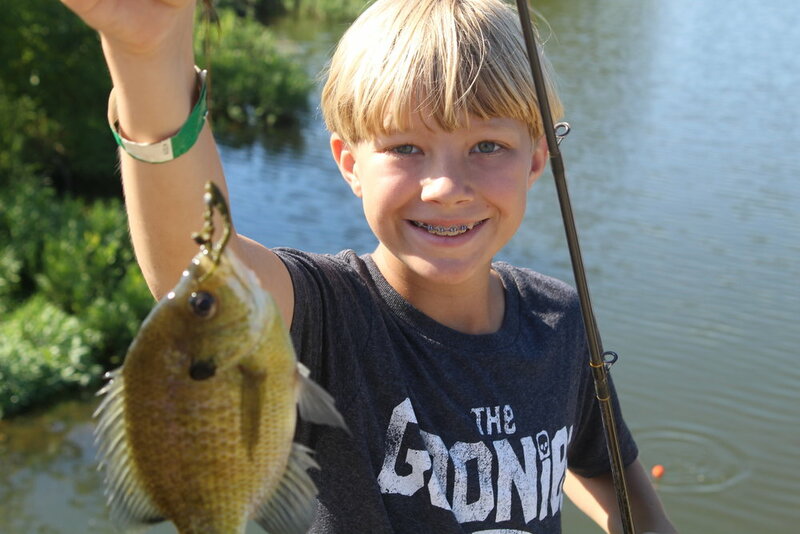 With accommodations that can fit the needs of just about any size group and activities from horseback riding to canoeing, Camp Wood YMCA is a vacation like no other. Enjoy an unhindered skyline view of the prairie while listening to the tranquil sounds of meadowlarks and nighthawks. Explore our private trails and finish your day around your own campfire under the stars. 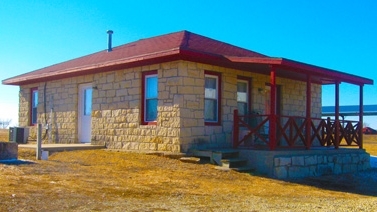 With the Tallgrass Prairie National Preserve and the Historic Chase County Courthouse only a few miles away, everything you need for an inexpensive, fun, family get-away is right at your fingertips. 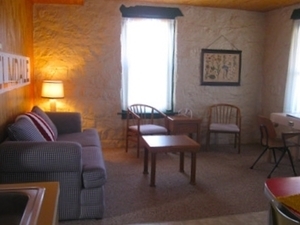 Stay in one of our affordable family cabins, utilize our full RV hook-up or tent camp around one of our many campsites. 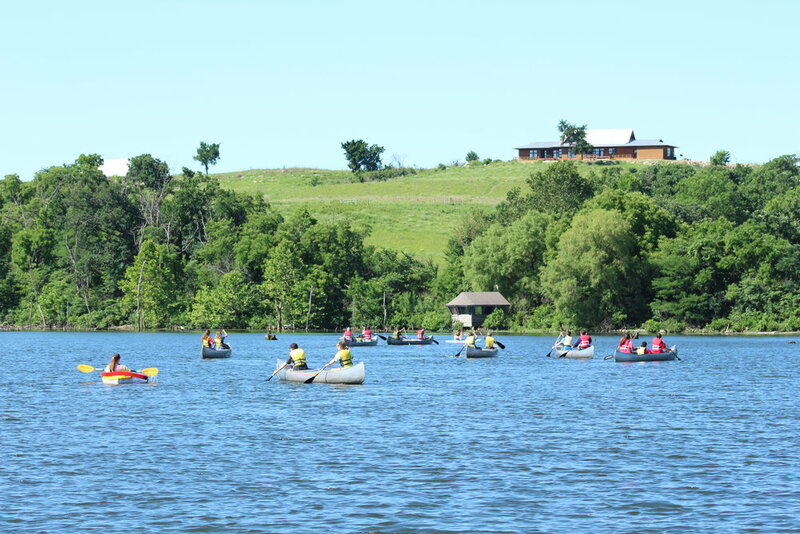 Re-image your next family vacation and make the Flint Hills and Camp Wood YMCA your next destination for family connection and adventure. 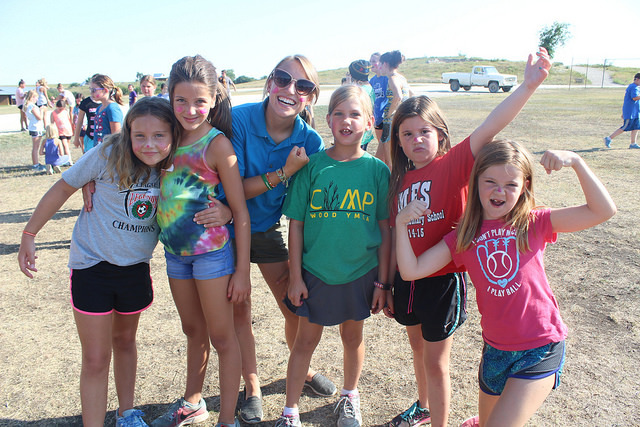 Camp Wood YMCA is located on over 800 acres of picturesque Tallgrass Prairie in the heart of the Flint Hills. This unique landscape provides visitors to camp with a front row seat to explore an ecosystem that has been molded to perfection over millions of years. From glaciers to cowboys, each rock and grass is painted with a rich history that tells a story of those that came before us. 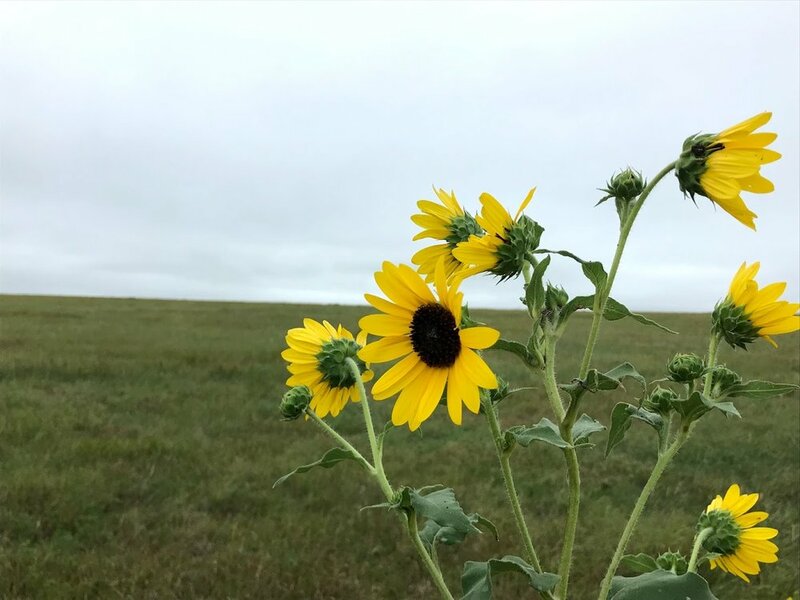 But beyond the scientific discoveries and historical markers, the Flint Hills continues to breath life into all those that embrace its beauty. In its vastness, each wave of tallgrass and expanse of endless sky provides perspective and peace to all that find themselves there. 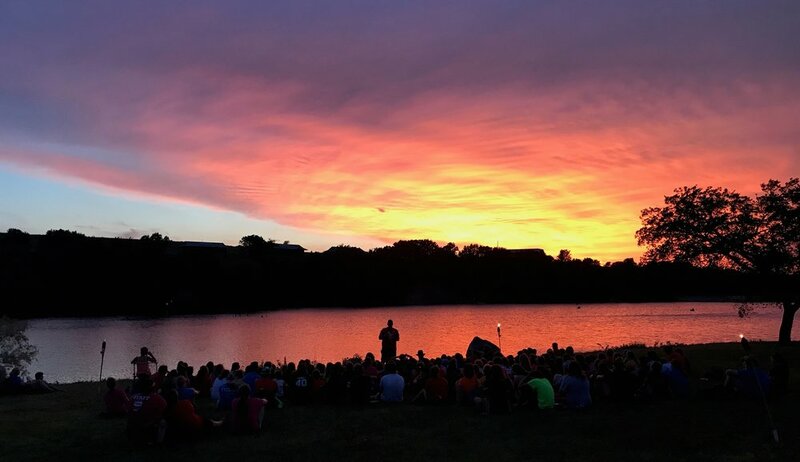 For Camp Wood YMCA, we take pride in knowing that this exceptional place is our home and whether you are a camper, student or retreat participant it thrills us to be able to share our little piece of the prairie with all who visit. Between Meadowlarks and Collard Lizards, taking a walk through the prairie creates a hands-on Earth Science classroom. Finding fossils and seeing layers of flint and shale tells a history that dates to the time of dinosaurs. The quiet breeze of synchronized tallgrass produces an environment ripe for creativity and discovery. 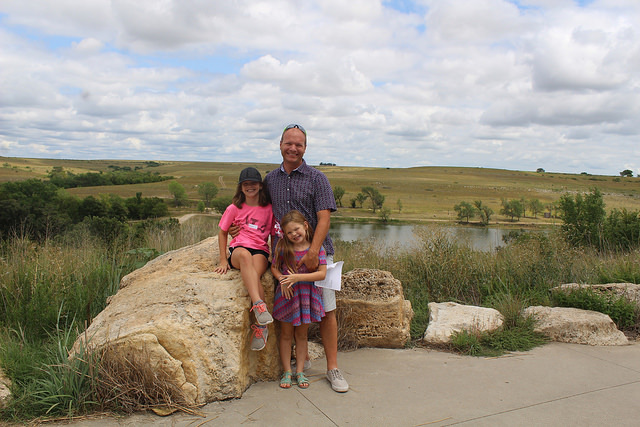 With miles of unobstructed scenery, the prairie offers a place to disconnect from the business of the rest of the world and opportunity to engage in a relationship with nature, others and self. 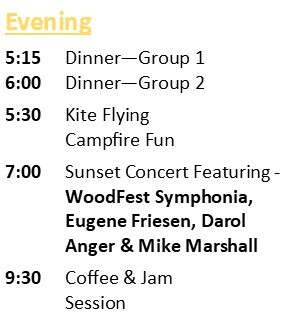 Whether its bonding with friends and family over a lakeside campfire or taking a moment to self-reflect in the breeze of the prairie wind, Camp Wood YMCA brings together what is so often frayed and neglected in a hectic world. 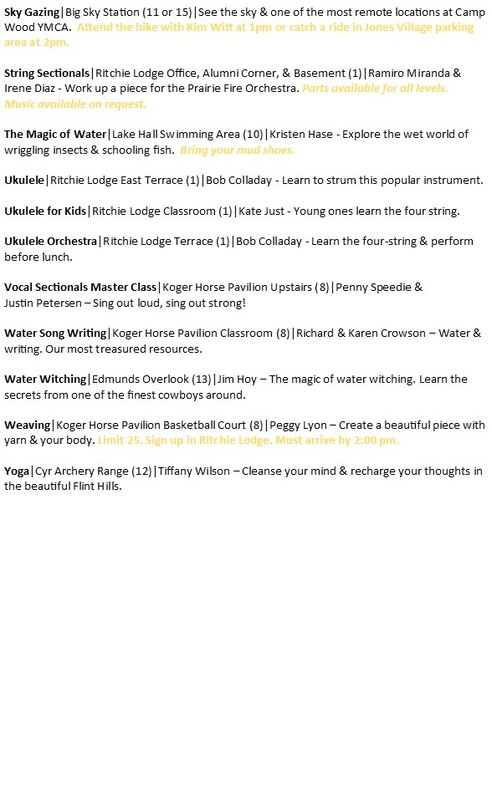 Lastly, our little piece of the Flint Hills is chalk full of fun and exciting programs. Get a birds-eye view of the prairie from the top of our Alpine Tower or release your inner cowboy on a horse-back ride through the tall-grass. Scour the fossil pit for hidden relics of a time long ago or explore trails and creeks for critters big and small. 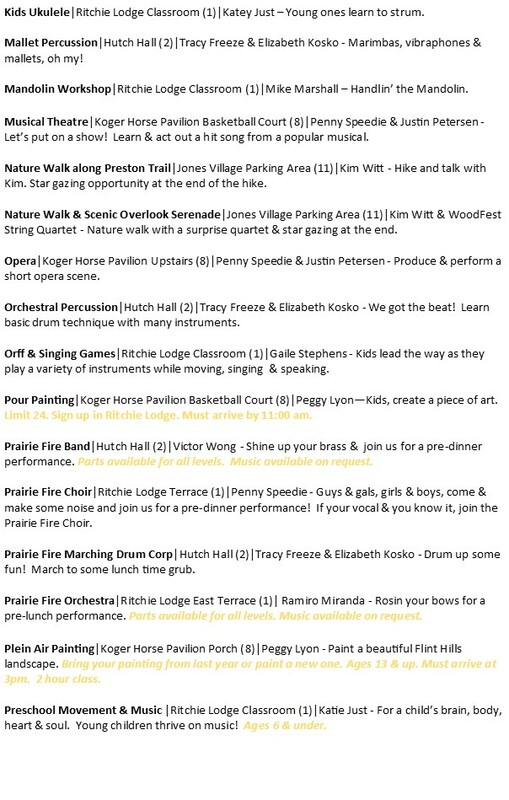 So, whether you find yourself at Camp Wood YMCA for a retreat, school group or summer camp, we hope our little piece of the prairie brings you a connection to nature, self and others like nothing else. It’s Friday night and 200 campers and counselors are gathered around a blazing campfire. Silly songs, chants and skits have filled the evening with laughter and excitement. Then with a slow strum of a guitar string the crowd is settled down and a sudden realization that camp is coming to an end sweeps through like a wave. This is it. It’s time to say goodbye and as campers start to drop their heads and wrap their arms around each other, we start to listen for the tears. Oddly enough, that sound of noses being wiped and cries being unsuccessfully controlled is music to our ears. Its in those wails that we can be assured that we did a job well done because we know what those tears really mean. 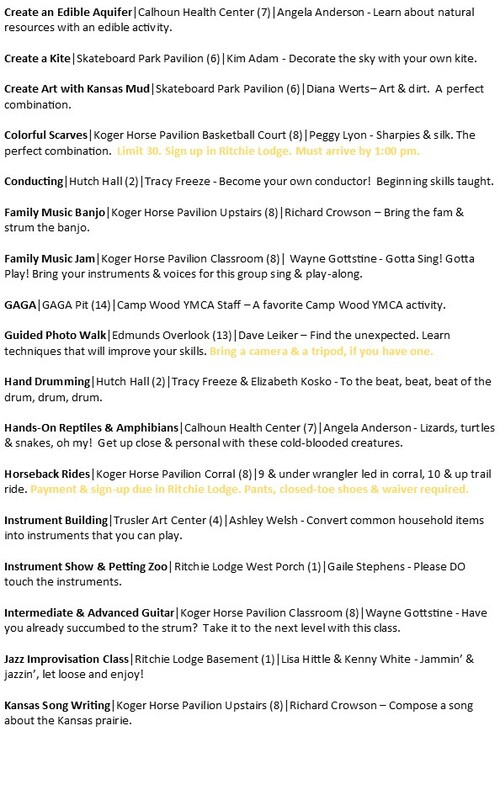 Sure, camp is fun. If it weren’t it wouldn’t exist in the first place. There are so many exciting things to experience and try for the first time. 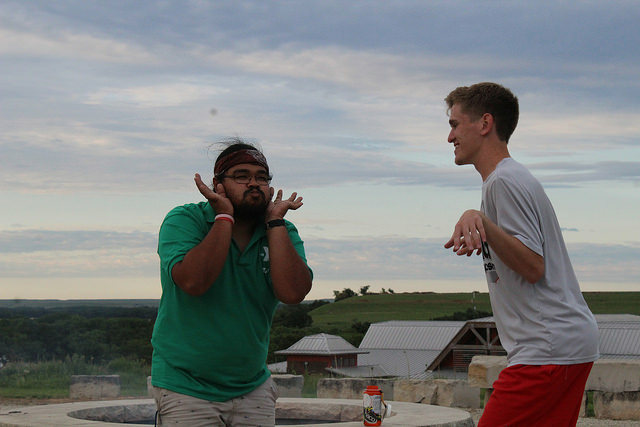 But, anyone that has ever been to camp will tell you that it’s so much more than fun things to do. Camp is meeting new friends from around the world. Camp is stepping out of your comfort zone to try something new and discovering who you are in the process. Camp is being accepted and loved during that discovery. It’s tons of laughter, yelling, goofiness and messes. In a week’s time campers can find comradery in the comfort of others as they face their fears with confidence and encouragement. They cry because they know this is the only place in world where their vulnerability becomes their strength and where being themselves is not only accepted but it is cherished. So, it may seem strange that our counselors consider it an accomplishment when most of their campers find themselves in tears during closing campfire. 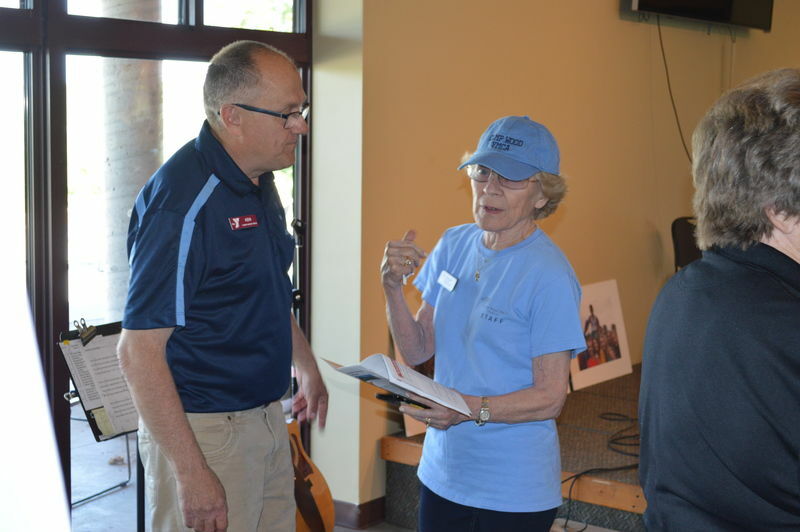 But, their pride comes from knowing they contributed to life-long relationships being built, confidence being gained, and independence being discovered. Saying goodbye is hard and we really would love to linger here with all our campers and counselors the entire year but it’s the fleeting time of our seasonal visits that helps create the magic. 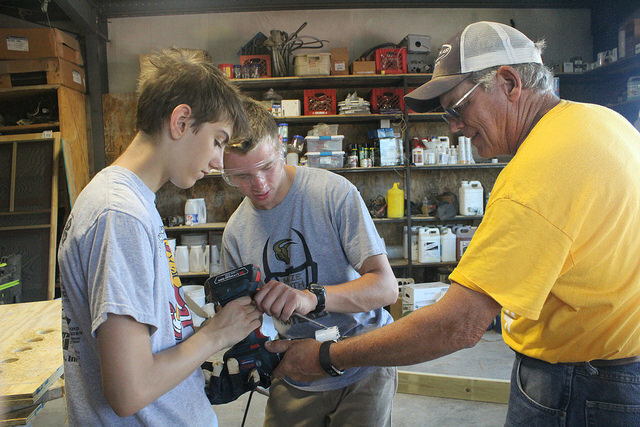 Even after the boats are taken out of the water, the archery targets are stored away, and the saddles are cleaned, campers and counselors all over the world will be thinking of camp and the impact it had on each one of them. Pieces of braided thread will remind them they can be a friend to anyone, anywhere. A plate of spaghetti tells them to laugh when things get messy. And the next time they must face something new and challenging they will be reminded that it’s not only possible but that they are capable.